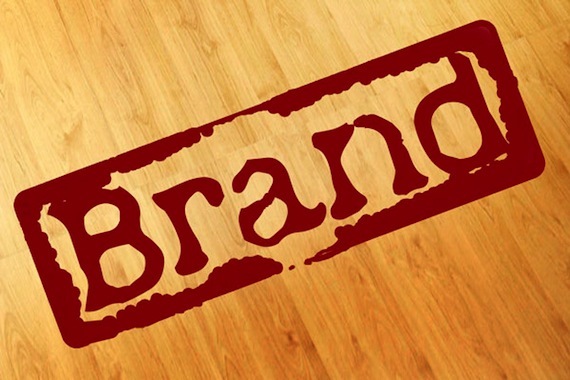 We rebranded thankfully in 2008 my primary concern was the elimination of all a.c.r.o.n.y.m.s. I hope you are not offended by this but I hate all things acronym. I know that that is risky to put on a blog since the NSA will read this and they themselves are an acronym. 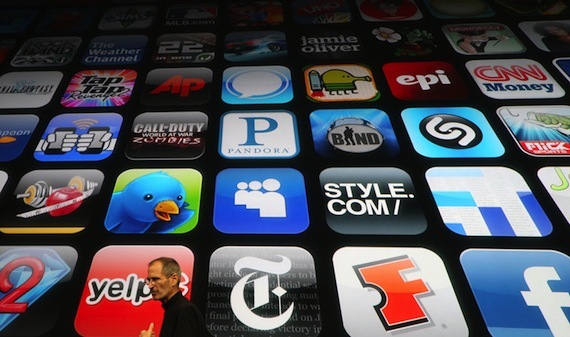 It seems that the debate of rebranding is centered around functional vs. fun. We tried to accomplish both. Here was my thought process in our rebranding. 1. What is the direction of our church – Our church was about to rebrand and so we couldn’t name our kids church after our big church. Plus some churches should name their kids after their big church because well their big church name is a bit much (greater highway deliverance ministry kids?) I digress. What reflects the vision and values of the church. 2. Does it help parents? – When I took over our preschool we have classes like Navigators, Explorers and Discoverers I for the life of me could not keep them straight and sent lots of kids to the wrong rooms. To fix this when we rebranded and picked a theme for our kids church I chose names that could have numbers. 2nd Ave. – 2 year olds – 3rd Street – 3 year olds – Rte. 5 – 5 year olds. our 5, 6, 7th grade Junction 567 – It makes sense to new people because they know how old their kids are. I haven’t misdirected a kid yet. 3. Is it fun? – Parents remember utilitarian names kids embrace fun ones. So to have a combination of both we did the practical names like 4th ave. But I didn’t want kids to invite other kids to their class. I wanted them to invite them to a broad-based experience so we named the whole thing Uptown. Uptown covers everything from birth to 6th grade. It’s fun and it’s all kids have to remember it also will be all they will ever have to remember. 4. Know your area – For us not being in the bible belt but in crucifix alley being a protestant non-denominational church having a different name than the name of our church is a plus in that we reach kids without preconceived ideas from parents. It is our desire to preach Jesus to kids and parents alike. So rather than be cute our goal is how can we be effective and glorify God in all we do. Far to many churches try and be cute because they believe that cuteness draws people while this may be true cuteness doesn’t transform lives and change hearts that is a work that only Christ can do. So name things and name them well. 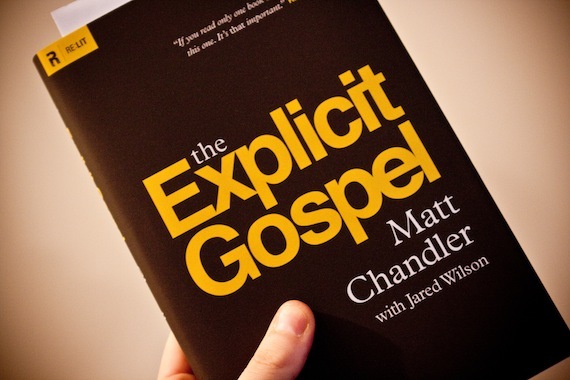 Get Matt Chandler’s Explicit Gospel for free. I just downloaded this book and have not had the chance to listen to it. I have listened to many of Chandler’s messages and his gospel centered, direct, humor infuse messages always force me examine my heart. I am looking forward to diving into this book and thought I would pass on the freeness you as well. I hope you download it. 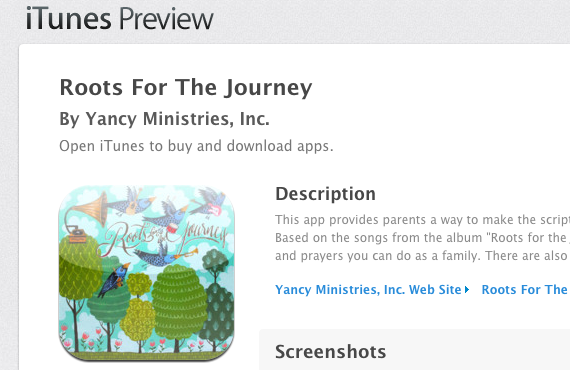 Yancy just came out with a brand new CD and now she has an amazing app that accompanies it. When Yancy recorded her newest album Roots for the Journey she knew these songs were special. The music, organic, unplugged and simple was something that adults of all ages would be eager to listen to again and again. The message in the songs timeless because each song is centered on scriptures from God’s Word. Yancy spends most of her time doing family concerts and making music and worship resources that play in minivans and churches worldwide. So, how could she mix her audience that ranges from preteen all the way down to preschool (through the Little Praise Party series) with this new music she created? So the idea/dream got a little bigger. What if she made an app to help parent teach their kids these Biblical truths? What if we could give parents tools to make these scriptures come alive to their children? Meet the Roots for the Journey App available for iPhone, iPad and Android. Amanda White from www.ohamanda.com did all the activities. You will love the way you can do simple activities to illustrate the truth of God’s Word to your kids. • Android https://play.google.com/store/apps/details?id=com.yancynotnancy.roots462&feature=search_result – t=W251bGwsMSwxLDEsImNvbS55YW5jeW5vdG5hbmN5LnJvb3RzNDYyIl0.